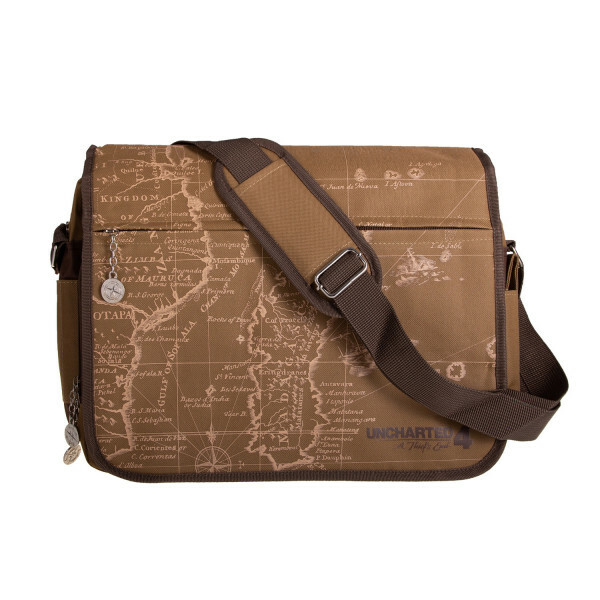 The Uncharted messenger bag looks like it was used by Nathan Drake himself. It shows a partial map of the areas you explore in "Uncharted 4: A Thief's End", with a matching red mark where the treasure is buried. The messenger bag is made out of durable polyester, has a parting wall, two additional compartments, a pen holder and a zippered compartment on the outside. The games iconic compass rose is used for zippers as a special gimmick. Uncharted is an action-adventure third-person shooter platform video game series developed by Naughty Dog and published by Sony Computer Entertainment for PlayStation consoles. 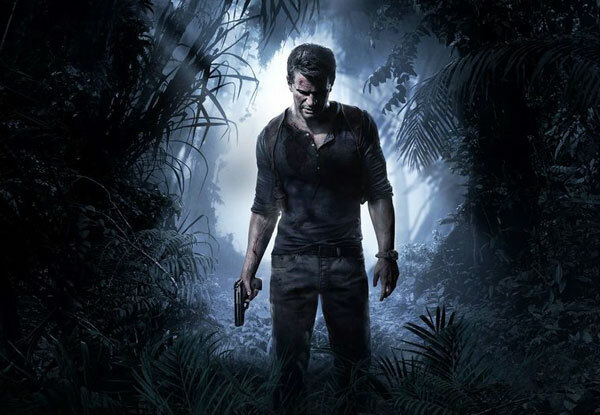 The games revolves around the treasure hunter Nathan Drake who travels around the world to find hidden treasures and uncover various mysteries. The series consists of 4 main games and has won numerous Game of the Year awards. As of June 2016, the series has sold more than 30 million copies worldwide.